Frederator sure is taking an interest in Canadian creators lately. First, it was Elise Simard, now it’s Mat Hains! 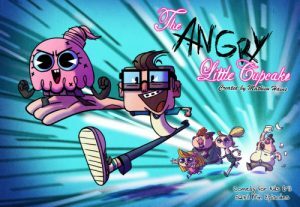 Mat’s an Ottawa-based animator/board artist/creator who made a big splash in the first season of Startoon with his second place finisher, the Angry Little Cupcake. I like Mat. And I like this interview. Check it out! This entry was posted on Friday, February 9th, 2018 at 10:14 am	and is filed under News, Profiles. You can follow any responses to this entry through the RSS 2.0 feed.